This fashion show will once again host renowned awards ceremonies. L'Oréal will be awarding prizes to the best model and the best collection by an established designer, while Mercedes-Benz will choose the best from among the young designers taking part in Samsung EGO for the sixth edition of the Mercedes-Benz Fashion Talent Award. This year’s programme also includes the 4th Samsung EGO Innovation Project Award show, by María Glück and her label Howl. In terms of sponsorship, the fashion show is offering, as in previous editions, strong support from leading brands in their respective sectors. In total, 16 brands are sponsoring the event. Mercedes-Benz, L’Oréal Paris and INDITEX are its main sponsors. Mercedes-Benz Fashion Week Madrid, the flagship fashion show considered a world showcase for Spanish design, organised by IFEMA, will be holding its 62nd edition from 18 to 22 September at Feria de Madrid. Over five days hall 14.1 will once again become the key arena for fashion, bringing together the best Spanish design proposals put forward by the 42 most prominent labels and designers of the moment. What's more, fifteen emerging designers will present their proposals at the Samsung EGO Showroom in Cibelespacio, where they will be on sale to the public. New at this edition, where Spring-Summer 2016 collections will be presented, is the inclusion of the young label María Ke Fisherman in the general programme. This brand started its professional journey at EGO, where it participated in three editions. In each of its collections the label projects its own universe of proposals, which come from the confluence of many creative forefronts. Their garments have become a cult phenomenon in the international fashion world and are now a regular sight in the wardrobes of iconic figures in contemporary music. Their inclusion confirms MBFWM's constant commitment and support for young talent, whose names become a reference for developing the collections of the future, as confirmed by the rapid growth of the brand. Since it was initiated in February 1985, the MBFWM catwalk has hosted shows by almost 300 designers. Many of them began their careers while the event was still in its early days, and nowadays they are important names on the Spanish fashion scene. Other younger designers have become involved over the years, bringing their talent and new perspectives on fashion design with them, distilling the essence of modernity and contemporary elegance through their creative speeches. 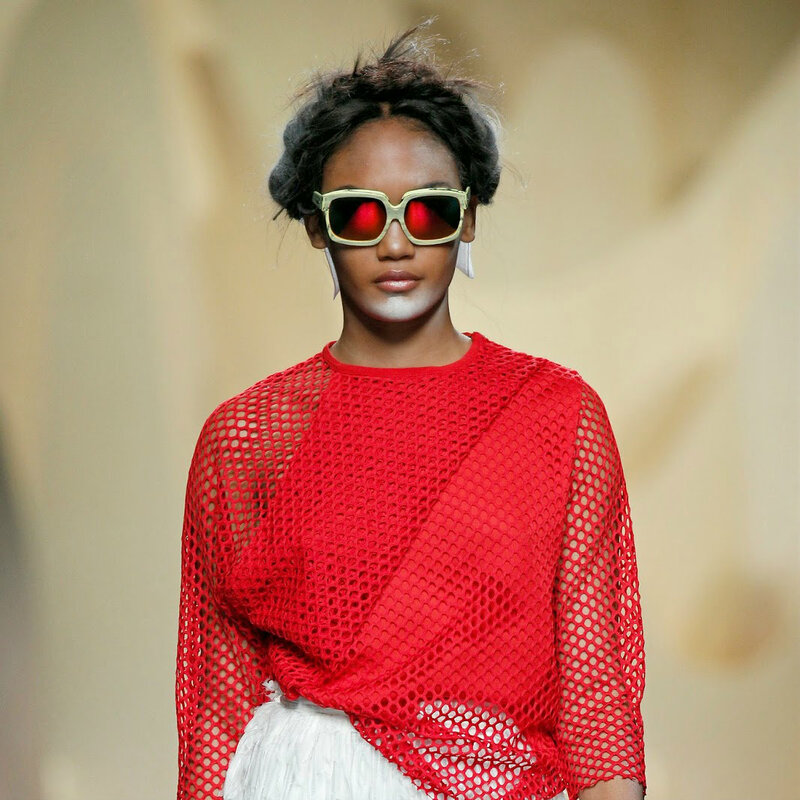 MBFWM, which recently celebrated its 30th anniversary, has established itself as the best showcase for Spanish design in the world, bringing together the best designers of the moment, whose prestige and recognition transgress Spain's borders. In recent years, it has welcomed key names from Spain's current design world, such as Alvarno, The 2nd Skin, Juan Vidal, Etxeberría, Leandro Cano, Ulises Mérida and Moisés Nieto, among others, who have received various awards in recognition of their work, and whose designs are now worn by famous celebrities in cinema and international music.